Areas earmarked for enhancing the quality of life of the people of Sandy Point will be visited on Thursday by St. Kitts and Nevis Prime Minister Hon. Dr. Denzil Douglas. Speaking on his weekly radio programme â€œAsk the Prime Minister,â€ on Tuesday, Dr. Douglas said the sites are for a new commercial area, a new by-pass road to relieve traffic congestion and residences. â€œWe have just cleared that area at the top of Crab Hill, just next to the Lighthouse Baptist Church. That area has been cleared starting from last week and starting this week and allocations will be made for those who have made application for commercial lots in the Sandy Point area,â€ Dr. Douglas, the Minister of Sustainable Development disclosed. He said the development of housing in the Sandy Point area continues and he will be visiting Bourkes on Thursday to look at the potential for further land allocation for residential purposes. â€œIt was under a Labour Administration that so many houses have been built in Sandy Point. Sandy Point has also been included in the 500 homes to be built by the National Housing Corporation,â€ said Dr. Douglas. He said the construction of the new by-pass road has been identified as a major project that has to be done for Sandy Point. â€œft there is an incident on the islandâ€™s main road, most of the times, everything is blocked. This has to be corrected,â€ said the Prime Minister, who pointed out that the recently built Community Centre in the Farms area. â€œA by-pass road will open up the lands for commercial and residential development so that businesses can be developed and expanded,â€ said Dr. Douglas. â€œWe have listened to the current Parliamentary Representative, Hon. Shawn Richards in Parliament. We know his passion. 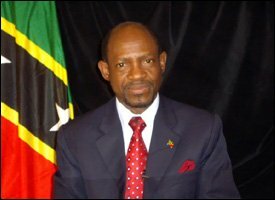 We know some of the areas of concern that he has and we continue to respond to them appropriately,â€ said Prime Minister Douglas.